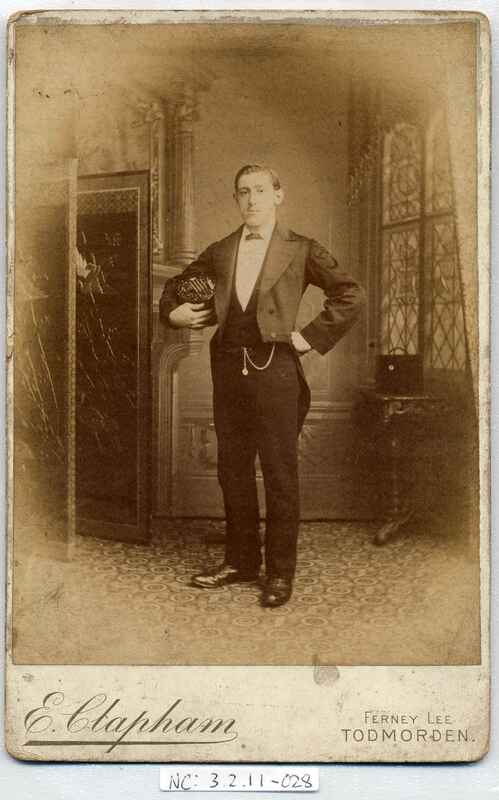 Full Description: A large Carte-de-Visite of a gentleman in evening dress, with watch and fob, holding a hexagonal English concertina under his arm (the case on the table behind him). 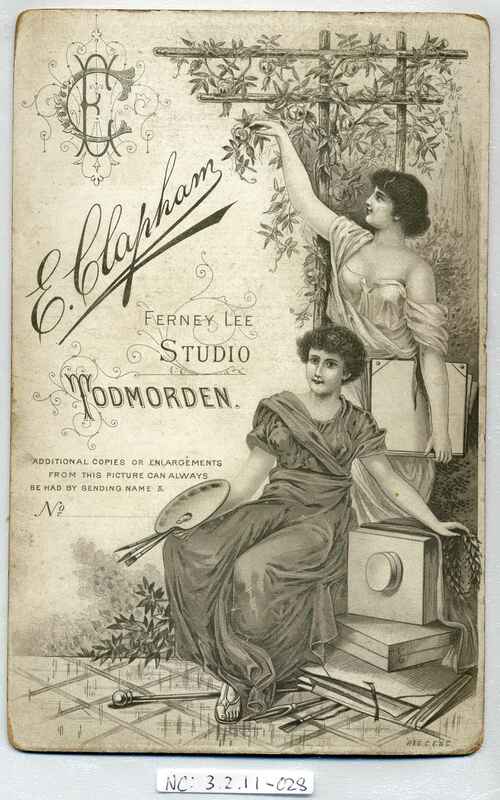 Photographers stamp to front is "E Clapham, Ferney Lee, Todmorden", and has large decorative advertising for the Studio to the rear. The gentleman may be just a "poser", using the concertina as a 'prop' when having his photo taken at Clapham's studio, though the Todmorden area was a stronghold of concertina bands in the 1900-1930 era, and the man may have been a member of such a band.